Wishing you a Safe & Happy New Year! Check out my Holiday Newsletter for decorating, DIY projects and fun facts! 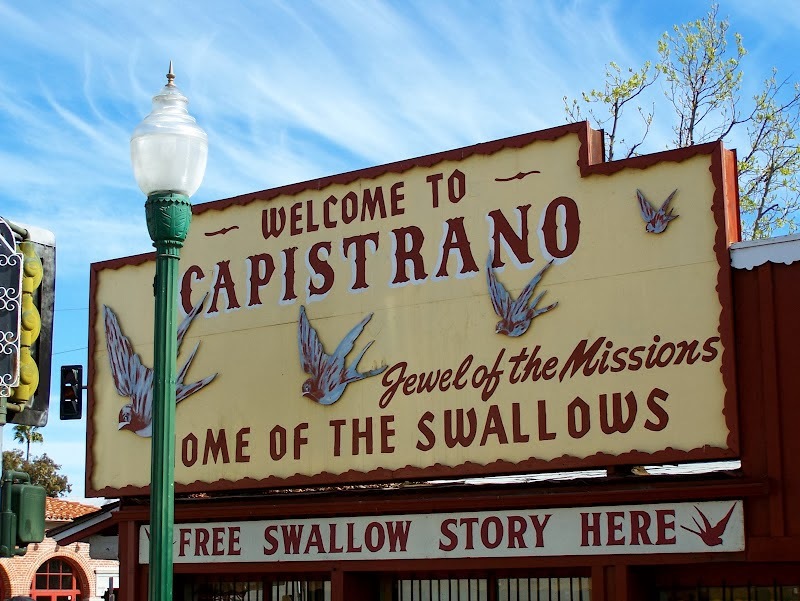 If you enjoy Christmas as much as I do and you are in the Orange County, California area this weekend than you need to check out what's happening in my town, San Juan Capistrano! Historic Town Center park is hosting a Tree Lighting Ceremony on Saturday, December 7th from 4-6 pm. After the official lighting has taken place their will be many downtown activities for you and the whole family. It is still not to late to enter and win my Pillow Cover Giveaway! 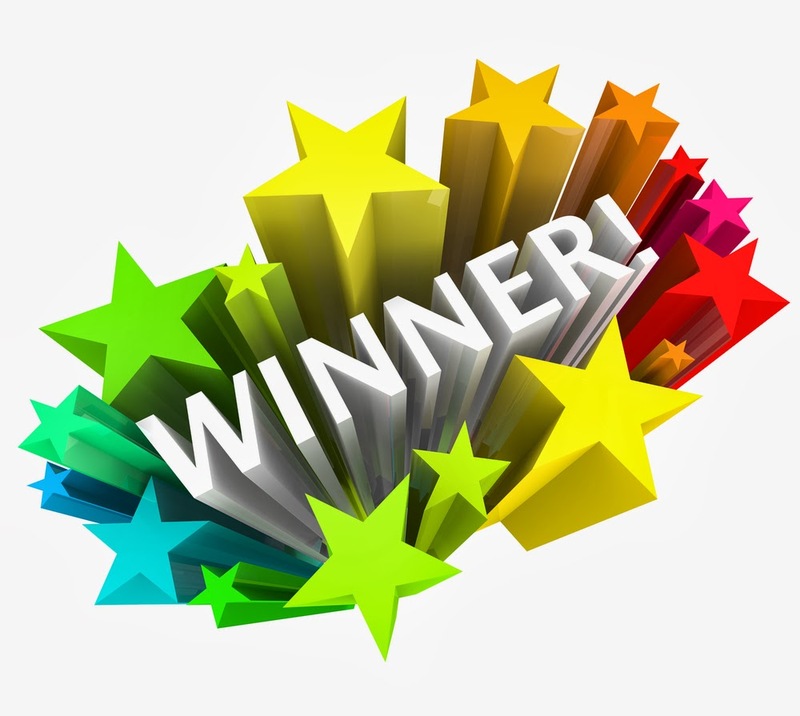 Go to previous post to enter. 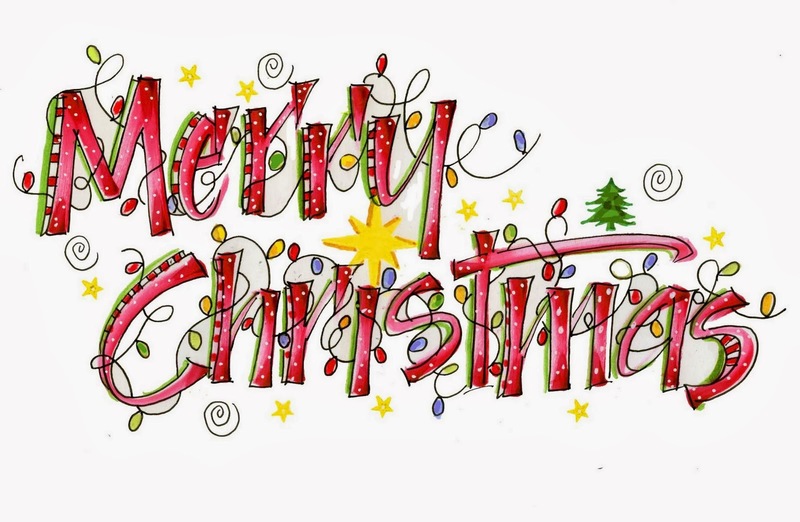 I am currently in the process of creating a weekly Holiday Newsletter that will be emailed to all subscribers. This newsletter will include recipes for Holiday treats, Holiday home decorating ideas and even a raffle or two of designer pillow covers by yours truly California Livin Home. 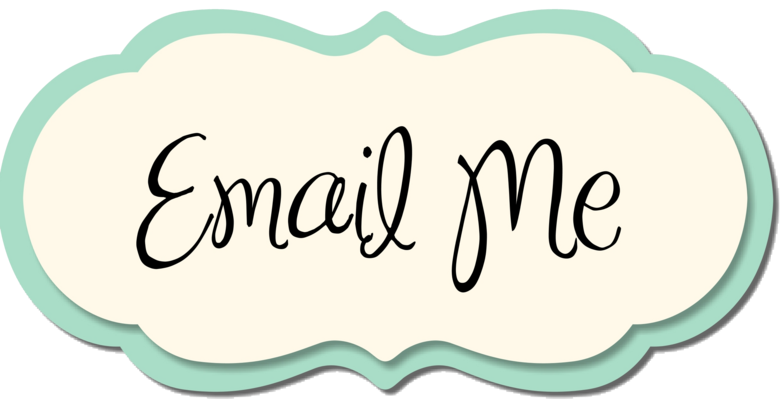 If you would like to receive my newsletter please send your email address to me at Californialivin@cox.net and I will add you to my list! If you have already sent your email, you should receive a confirmation message within the next week. Alternatively, you can re-enter your email. No duplicate records will be created. November is the time of year that we all start thinking about the holidays. We start bringing the boxes down from the attic or up from the basement or in from the garage with all the markings, "Xmas Stuff", "Lights", "Xmas Paper & Ribbon" and so on and so forth. 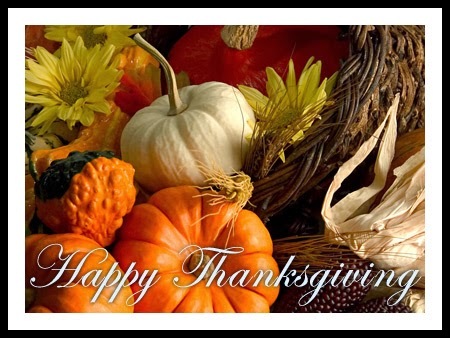 Our "Thanksgiving stuff" is usually already inside, but hidden, tucked away all neatly in drawers and closets.... it's not much, barely would fill a tote but, we need it for our Thanksgiving dinner table. You probably have a turkey platter (and it has a turkey motif on it) and the Thanksgiving themed table runner but there are always odds and ends you need to shop for. Fall foliage and those totally necessary pumpkin scented candles. 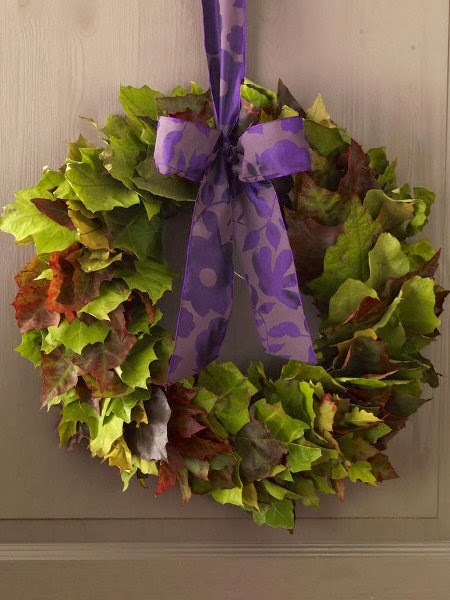 And how about that Fall Wreath you made last year tucked away some place you just can not remember. Well this year instead of decorating for "the one day" why not the whole entire month? 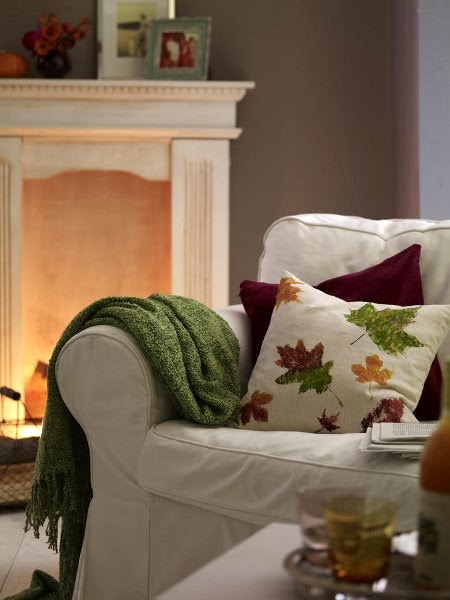 Fall colors are all around us outside this time of year so why not bring a little of that color-warmth inside. 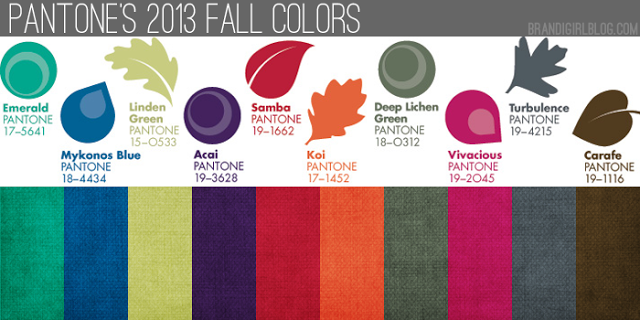 Pantone's 2013 Fall Color selection can help. From Teals to Purple and Reds. Orange to Chocolate Brown. 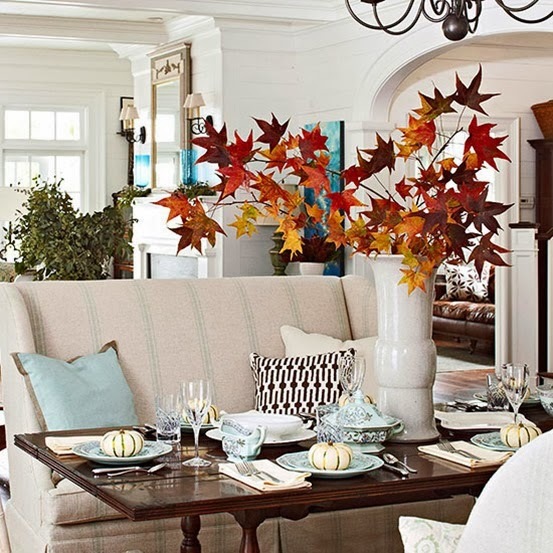 Check out the pictures below to get great ideas on accessories like vases and pillows that you may already own in these fall colors and pull them all together in your living and dining areas to create your own one of a kind November Fall Home for you and your guests this Thanksgiving. 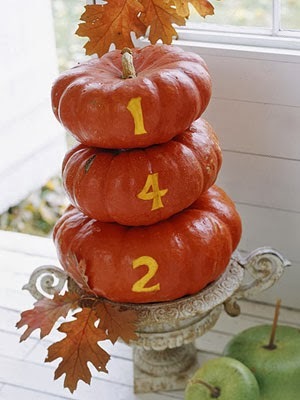 How about adding a few pumpkins to your porch with your address stenciled on the front? 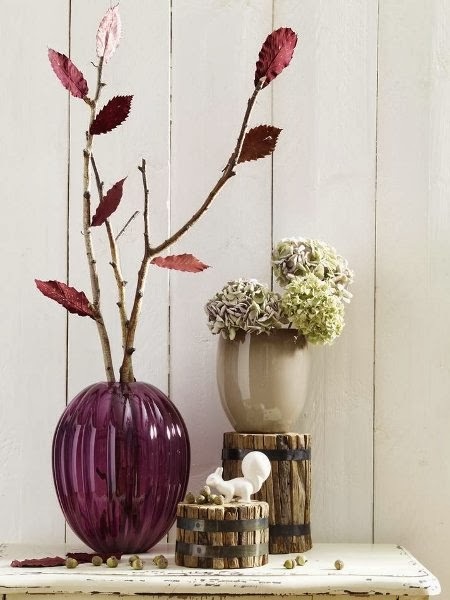 Add a little "fall color" to a vignette. 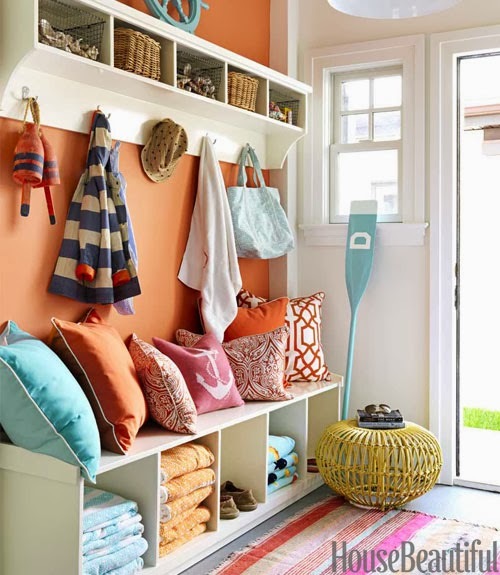 Treat your guests to a splash of color upon their arrival. 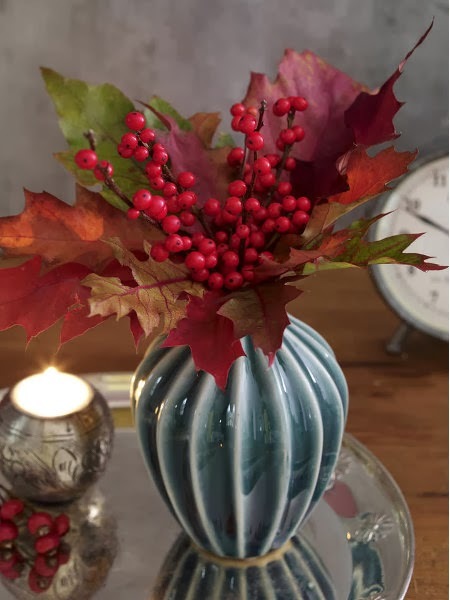 Free berries and foliage right in your own backyard can be placed in a vase for added color. 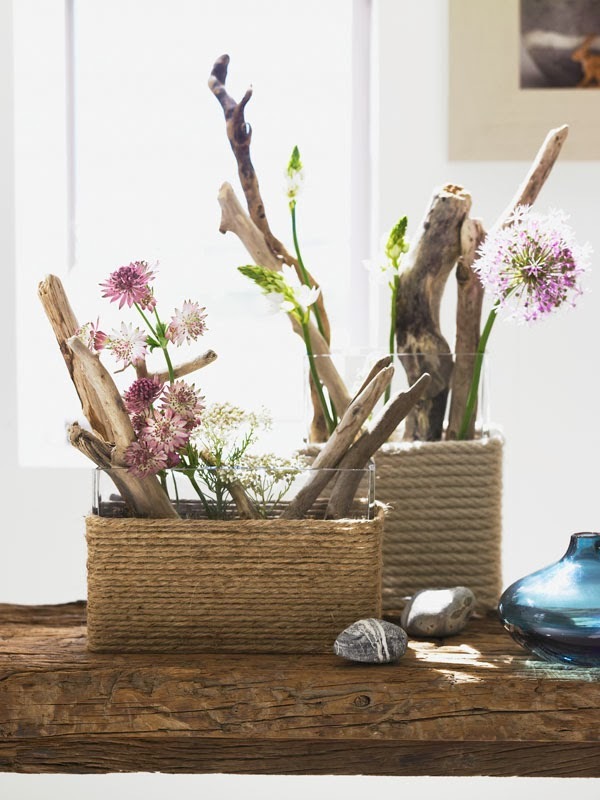 Make an arrangement from found items at the beach. I have a handful of NEW Pillow Cover's at California Livin Home. Check them out here first! Welcome FALL ! 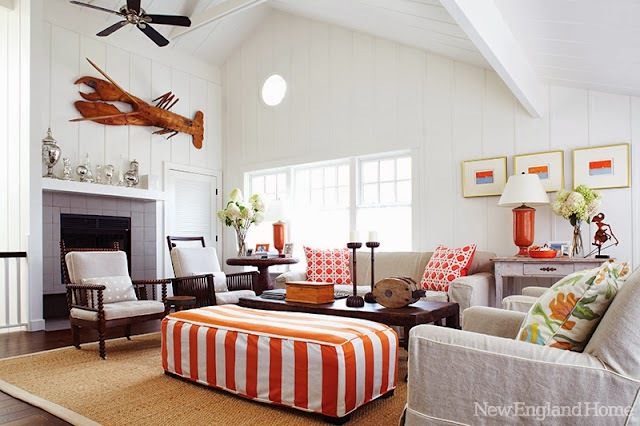 Beach House decorating with the color ORANGE! Let's see....we have 28 days until Thanksgiving and 53 days until Christmas! "Where did the time go"? In the mood for a little Orange? 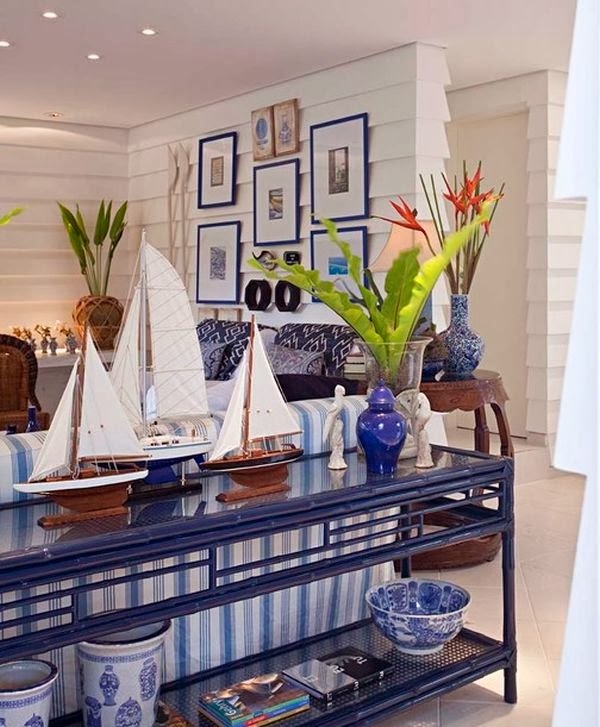 In the past I have made item's like cushions and curtains that go on boats. Some very big and some small. If you think your home does not have a level or square wall or surface, get on a boat. The angles and shapes I have cut out to make cushions and curtains are crazy! For my 'boat supplies" I head over to Sailrite, A complete online supplier of anything and everything for your boat and home. I receive their spotlight blog post's and came across a very fascinating article that I wanted to share with all of you. 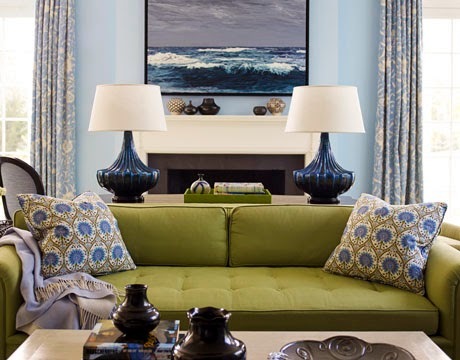 The below article will give you an insight into the current fabric trends and patterns that are happening now not only in home decor but in fashion as well. 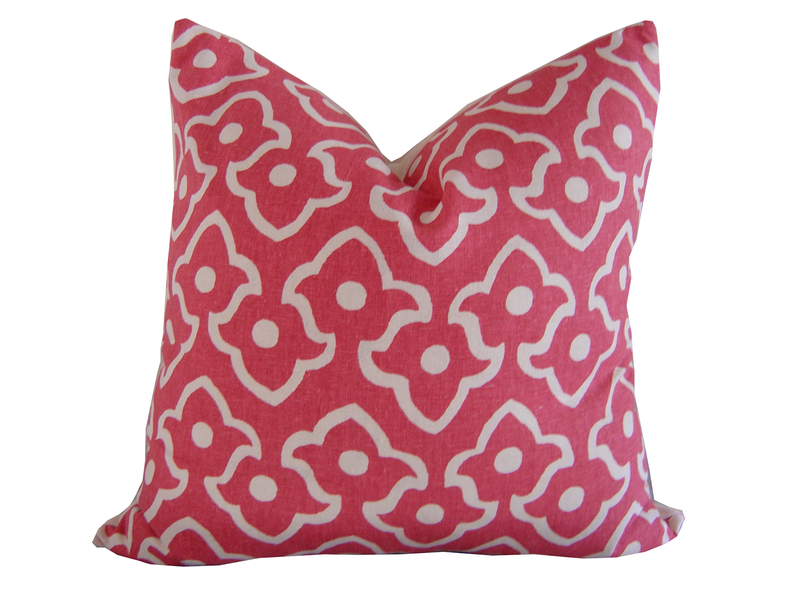 Names like Ikat, Quatrefoil and Suzani. So the next time you come across a Jacobean Print, you can tell your friend's "The Jacobean print came from.....". They will think you are so fabric savvy! Have you ever found a fabric you liked, but didn’t know how to describe it to find it again? 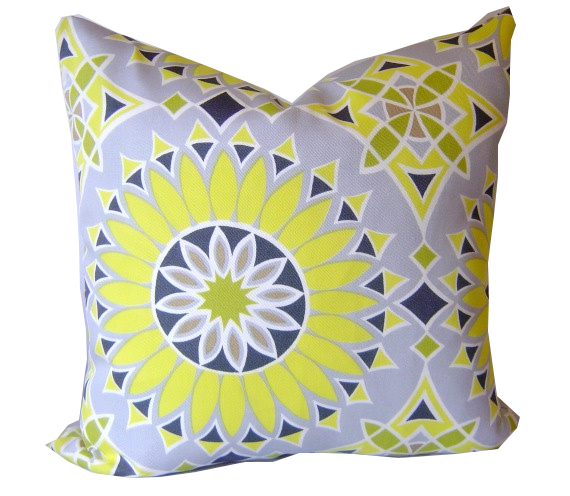 We’ve all heard of florals, stripes and geometrics but fabric styles don’t stop there. 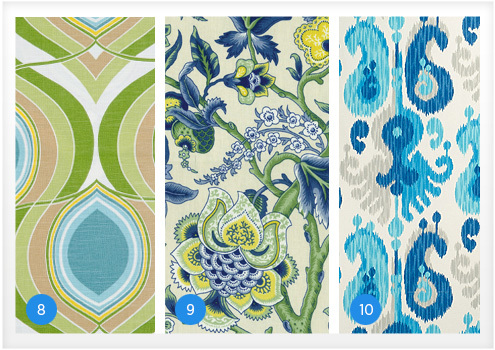 I’ve been learning a lot about fabrics lately, including names for patterns that I never knew! So I’ve complied a list of some common patterns, their names, and a little bit about them. 1. Damask (DAM-usk): This elegant design gets its name from the city of Damascus, a major trading post along the Silk Road where fabric of this style was made and traded to the West. 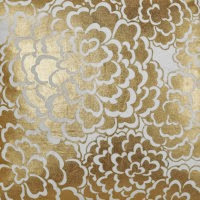 Damask fabrics feature patterns of flowers, fruit and other designs and are usually monochromatic. 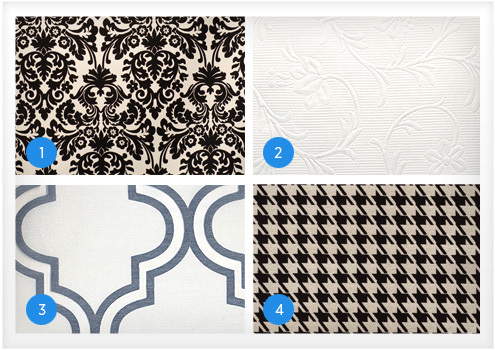 Damask designs are popular today in wallpaper, table linens, and upholstery. 2. Matelassé (Mat-la-SAY): The word “matelassé” is a French term meaning quilted or padded. 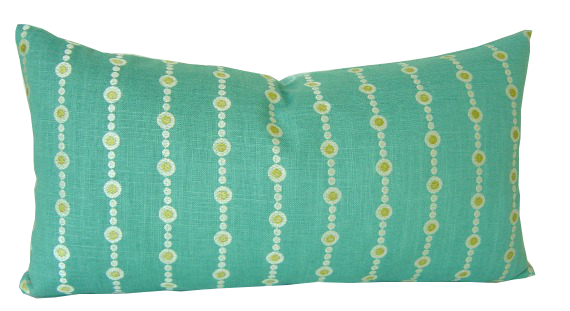 This makes sense, as a matelassé fabric is a design with a raised pattern that appears padded, quilted or embossed. While they appear padded, matelassé fabrics don’t actually contain any padding. 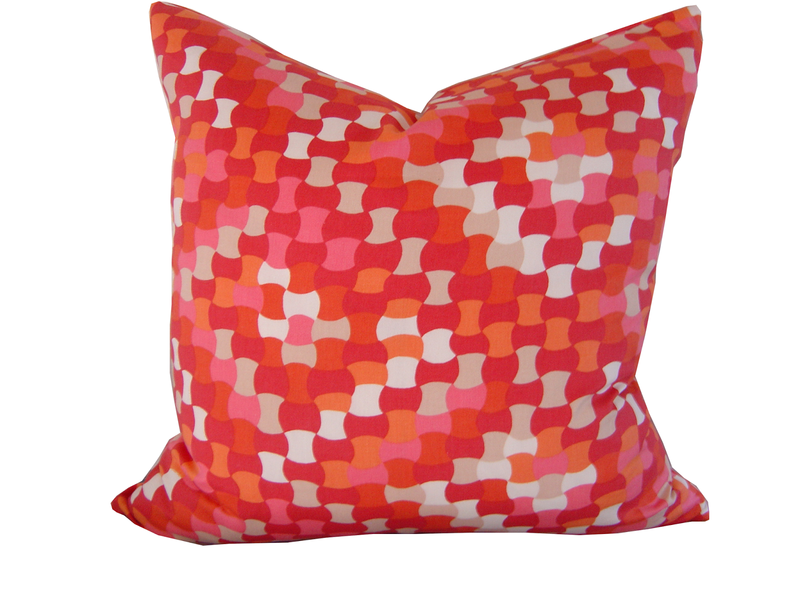 Matelassés are typically solid colors and are great for pillows, bedding, and more. 3. 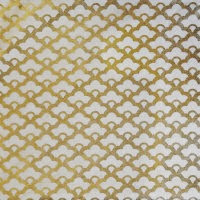 Quatrefoil (KAT-ruh-foil or KWA-tra-foil): This pattern comes from Gothic and Renaissance architecture. 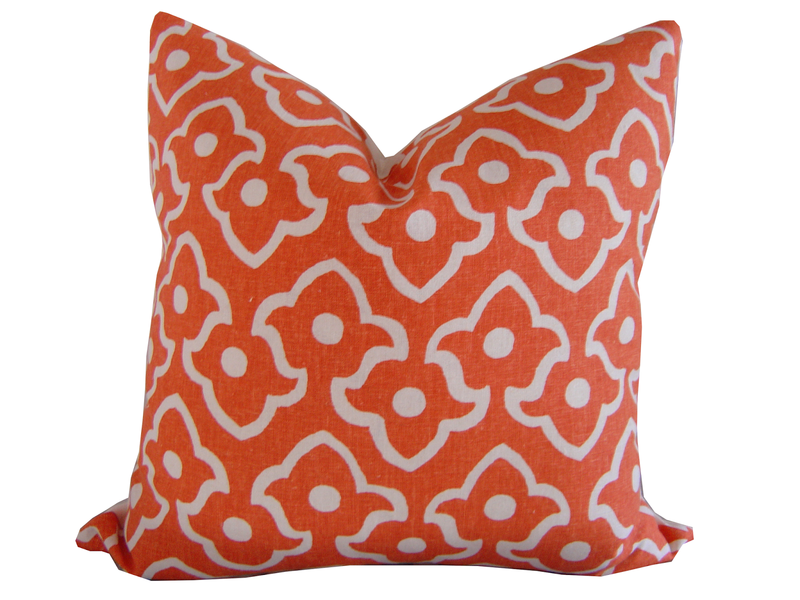 The name quatrefoil is Latin for “four leaves” and the design resembles a four-leaf clover. There are many variations of the quatrefoil, including the “barbed quatrefoil,” which is squarer and the “slipped” quatrefoil, which has a small stem. 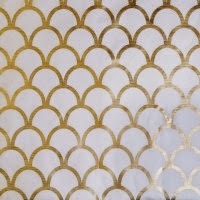 This design is popular in window treatments, pillows and wallpaper. 4. Houndstooth: This classic check was first worn by shepherds in the Scottish lowlands. It is a two-tone pattern that combines dark and light yarns in uneven rows. 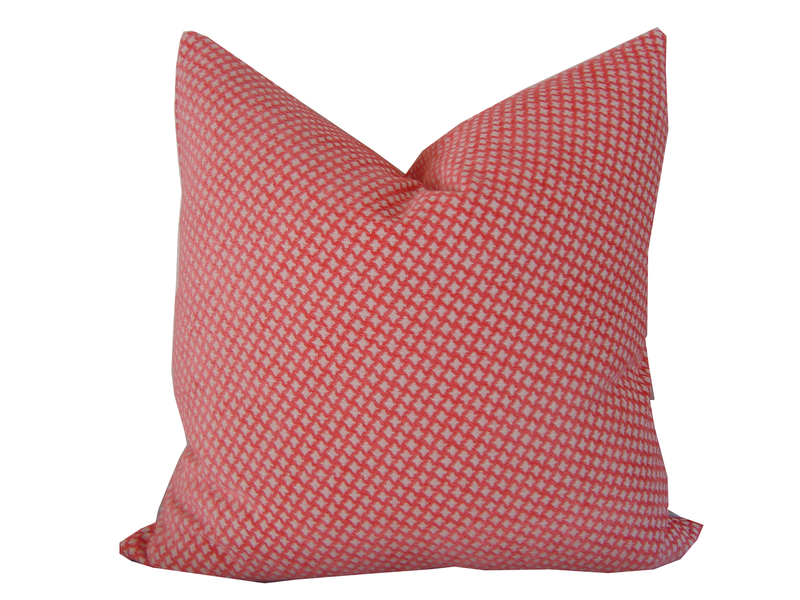 The uneven pattern results in a design that looks similar to a dog’s tooth, hence the name houndstooth. 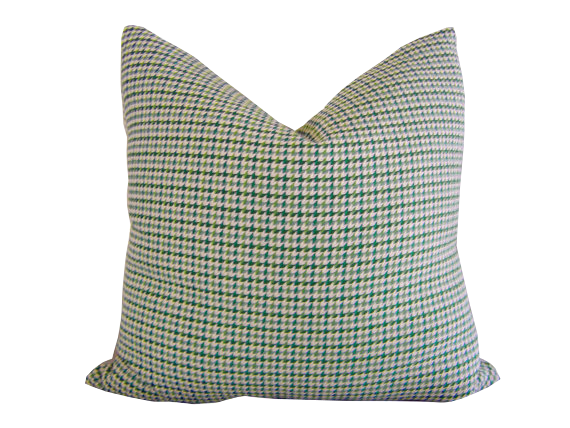 Houndstooth is popular in jackets and clothing but is also great for upholstery. 5. Suzani (Su-ZA-nee): A traditional Middle Eastern pattern, suzani textiles were embroidered by brides as part of their dowry and presented to the groom on the wedding day. Suzani fabrics are usually a large-scale design with sun and moon disk (medallion), floral, and vine motifs. Today’s suzani designs are usually loom woven or printed. 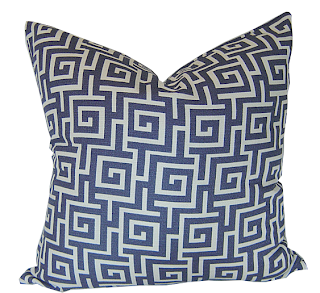 This style is popular for bedding and window treatments. 6. Chevron: A zigzag stripe pattern, chevrons have been popular in the U.S. for decades. The term chevron comes from the inverted V shape used in military insignia. In fact, the design goes back as far as 1800 B.C. on pottery and rock carvings. 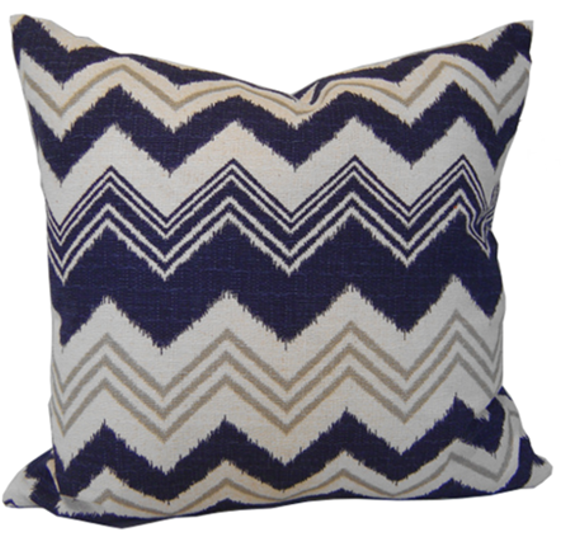 Chevrons are a fun, playful fabric for pillows, window treatments and much more. 7. 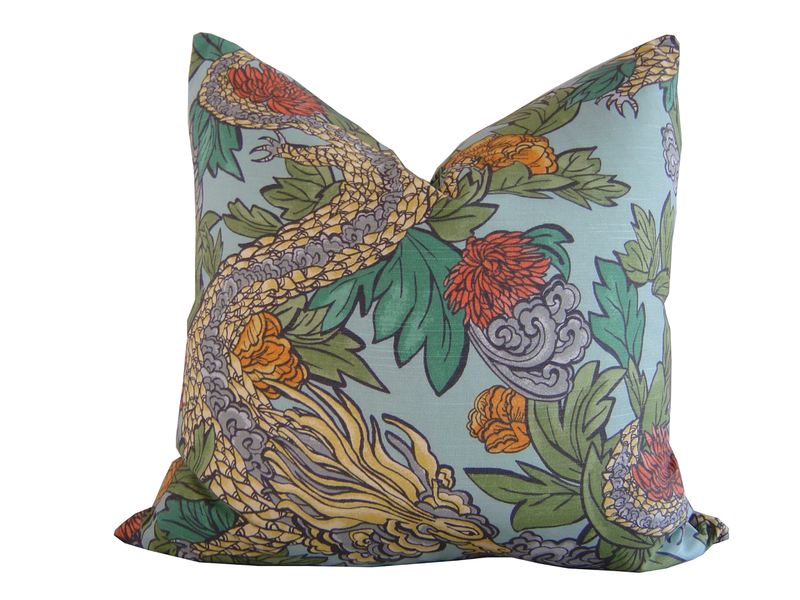 Paisley: The paisley motif resembles a droplet, teardrop or tadpole and is of Persian and Indian origin. The British were introduced to the paisley design in the 18th century when the British East India Company brought back shawls with the design. The pattern got its name from the town of Paisley, Scotland, where textiles with the design were produced. 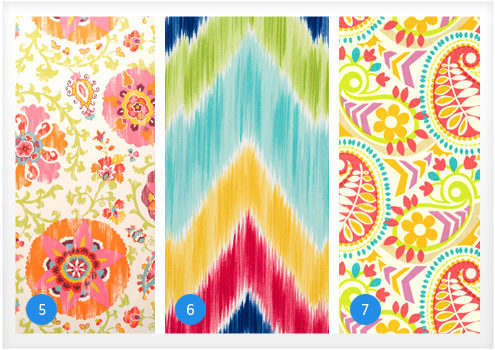 Paisley continues to be popular today in formal styles as well a playful bright colors, perfect for kids’ rooms. 8. Ogee (OH-gee): Ogee gets its name from the architectural arch it resembles. The arch is formed at the connection of two, mirror image, elongated S shapes. Ogee patterns can sometimes resemble an onion. 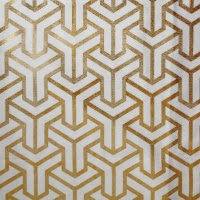 This curvy pattern is often used in bedding and rugs. 9. Jacobean: These patterns date back to the 17th century during the reign of King James I of England. A common motif in Jacobean fabrics is branches ornamented in color with fruits, flowers, and/or birds. 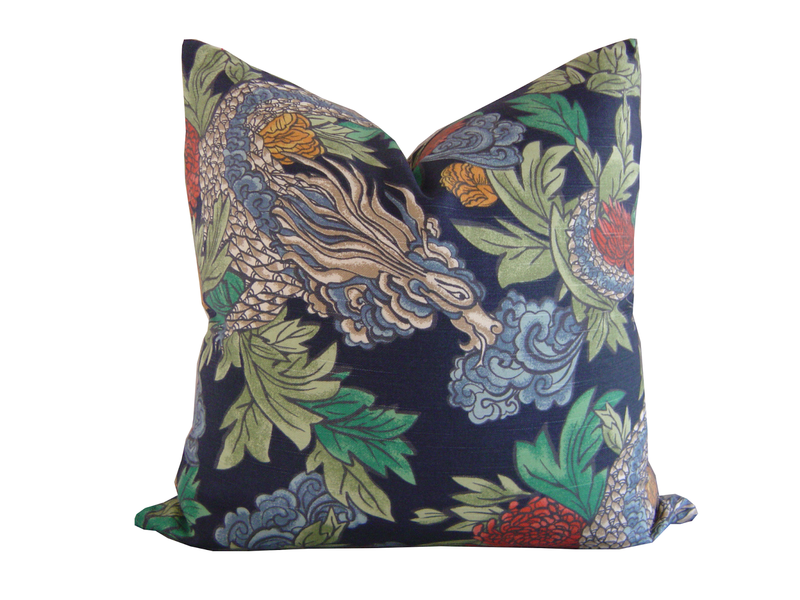 They can have an old English feel to them, but many designers are now giving Jacobean elements a modern flair. Jacobean fabrics are often seen on upholstery or window treatments. 10. Ikat (EE-cot): Ikat refers to a dyeing and weaving method rather than the pattern itself. The term ikat comes from the Malay word “mengikat” meaning, “to tie.” The centuries old process includes tying the threads before they are dyed to achieve designs that are then woven into the fabric. This method gives ikat fabrics their signature blurred edges. 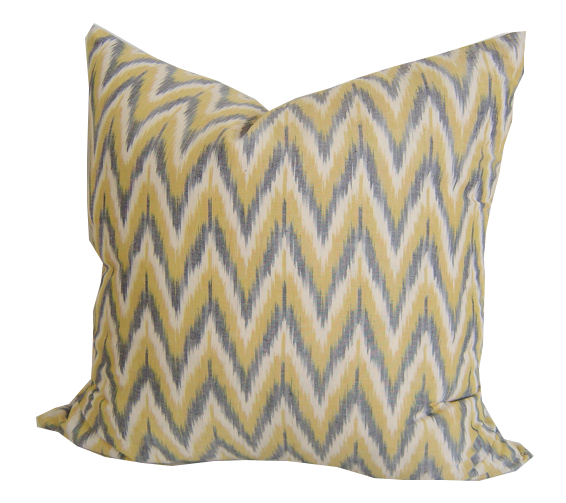 Most ikats today are actually ikat-inspired prints. 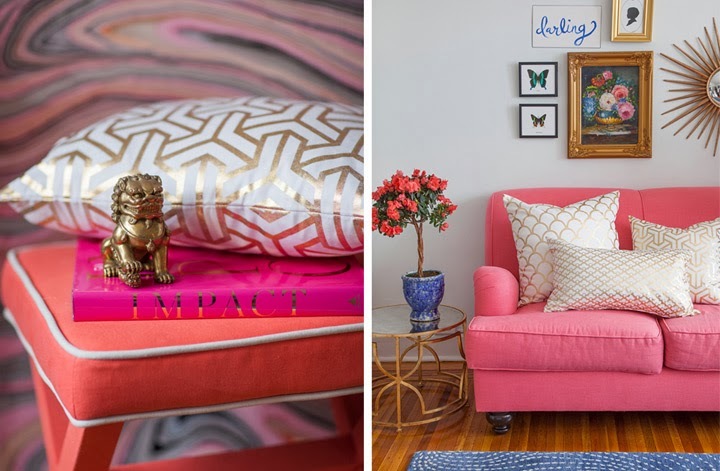 Bring these patterns into your home with some new home décor projects. 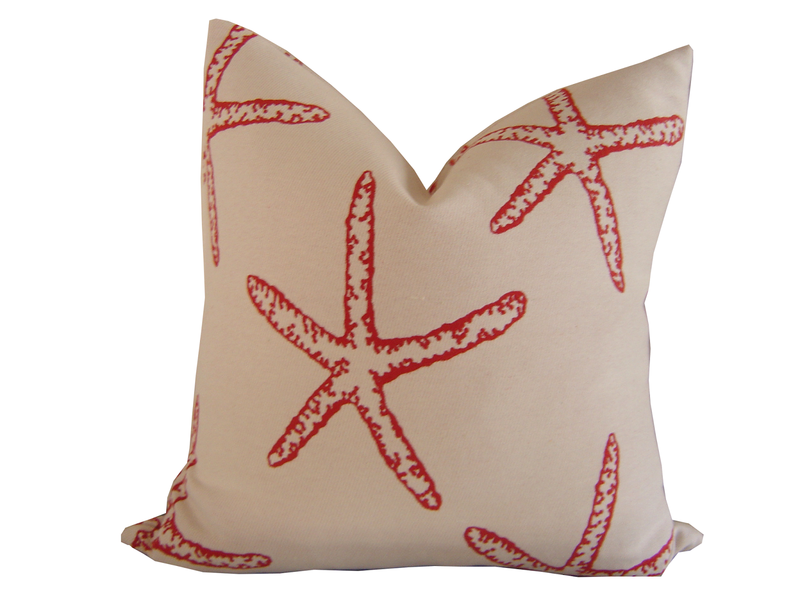 Check out our large selection of fabric by the yard including all of these styles at www.sailrite.com. What patterns are you loving right now? 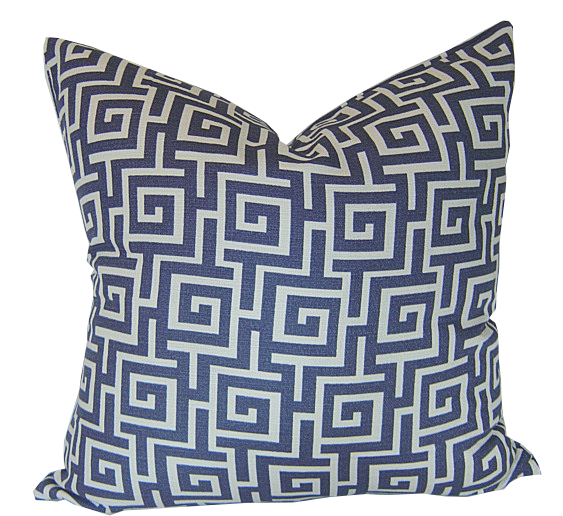 I’ve been really drawn to the ikats and quatrefoils lately. FALL SALE @ California Livin Home on ETSY! 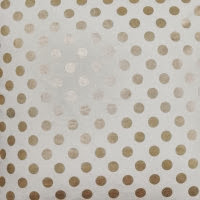 FALL SALE happening NOW at California Livin Home on ETSY. Don't miss out. 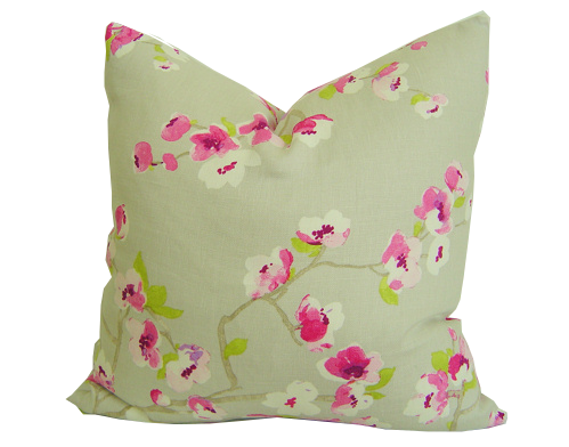 HUGE savings on Pillow Covers! Living in California has it's perks. We have many fabulous destinations to the north and south not to mention all the great places to go in between. Need a quick weekend getaway before summer ends? Well look no further. Live outside the state? No problem! Catch a great deal on an airline or better yet, make a road trip out of it and see these great destinations. 1. Fort Bragg is a picturesque city with views of the Pacific located in coastal Mendocino County along Hwy 1 and approximately 175 miles north of San Francisco. 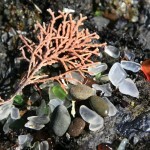 For a romantic getaway or family weekend Fort Bragg has lot's to do and an incredible make it 3 incredible Glass beaches. 2. 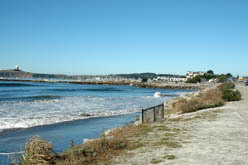 Half Moon Bay is located approximately 28 miles south of San Francisco on the beautiful Pacific Coastline. The historic downtown is home to numerous shops, art galleries, restaurants, bed and breakfasts, and other businesses. 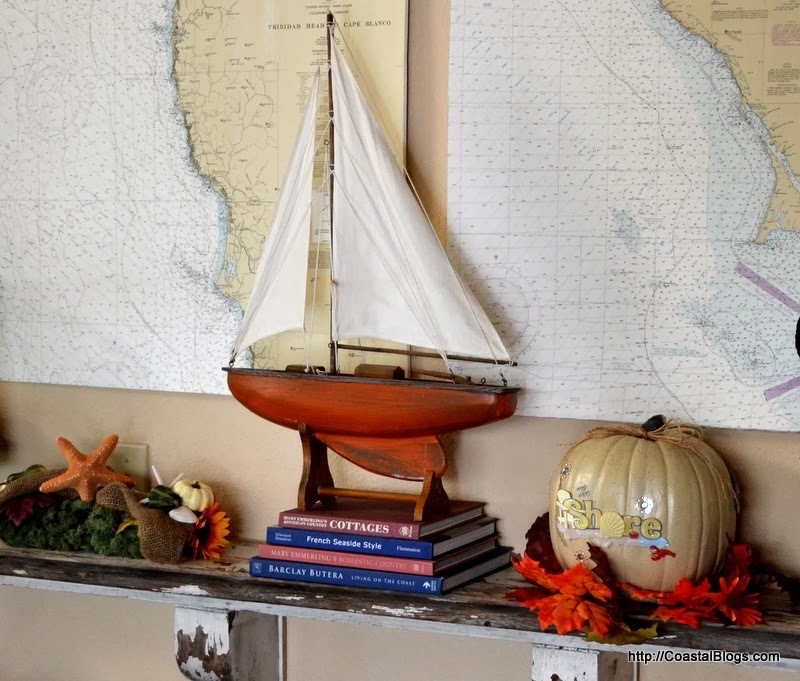 The Pumpkin Festival, held in October, draws thousands of people to the coast to enjoy its beautiful views, fine dining, arts, crafts and plenty of hospitality. 3. Santa Cruz is a short 75 mile drive south of San Francisco. 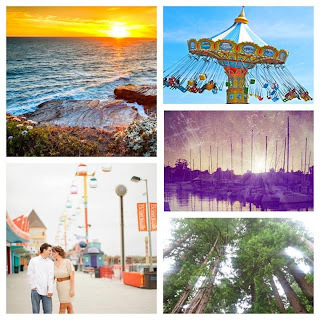 With 29 miles of coastline, Santa Cruz offers a wide variety of things to do. Visit the boardwalk or one of their 14 state parks. View majestic redwood forests or start your fun at the some of California’s best beaches, perfect for surfing or volleyball. End your weekend by checking out the local museum or art galleries.